No-nonsense attorney Rebecca Dumaurier battles for famous romance writers. 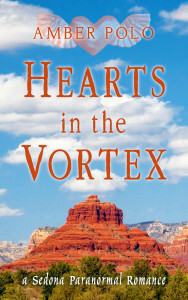 But in the Sedona vortex romance spins out of control with a shy trance channeler and a pirate from another time. Can a meat-eating Texas advertising woman find love with a vegetarian Buddhist and get her pilot’s license despite interference from her wacky Arizona airpark neighbors and a high flying Alaskan Malamute?